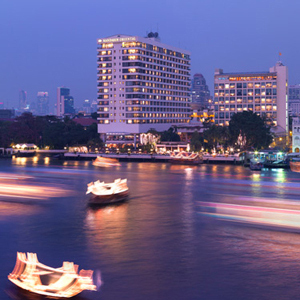 Take BTS to Saphan Taksin Station, go towards the Hotel Boat Pier and board the Mandarin Oriental shuttle boat. Twenty-one 5-star chefs, 9 courses, ONE great night. The Mandarin Oriental Hotel Bangkok, Maserati, Bulgari, and You. The Oriental Hotel's new staff facilities are reality, and this will certainly change the hospitality industry. Perhaps forever.